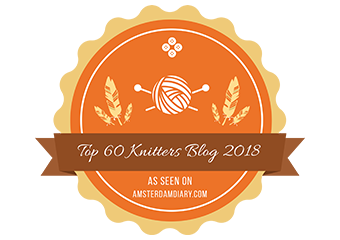 An Icelandic yarn club… I had been dreaming it for a long time… My aim with this club is to introduce you to a greater variety of beautiful Icelandic wool and show the growing diversity of Icelandic yarns being made. The club runs over a 4 months period from December 2018 to March 2019 and consists of 4 kits containing special Icelandic yarns, the story behind their making, a matching pattern that I created especially for the club and that is exclusive to it for a year and … a little something from Iceland! All of it is wrapped thoughtfully and will make a perfect gift, for yourself or a loved one (then you can choose “This is a gift” at the sign up)! The first shipment will happen after just a few days, so that it can make it on time for Xmas gift! In other words, sign up is only opened until Monday (December 10th 2018)! And of course the number of subscriptions is limited! 4 shipments over a period of 4 months (December to March) of Icelandic yarns created especially for the project: they could be a special or limited edition, plant-dyed, hand-dyed, handspun or a special colorway, or made from special Icelandic wool or sheep. The amount of yarn per shipment will vary from 75g to 200g depending on the project and the yarn thickness. Also the Icelandic wool is very light! 4 knitting patterns created by Hélène Magnússon, accompanied by the story behind the making of the yarns for each project: where it comes from, what’s so special about it, who made it. The patterns will be exclusive to the club for a year after the release of each pattern. They will be essentially a range of accessories. The patterns will be provided in the form of a PDF: you will receive a download link by email each time a pattern is released and the PDF will also be automatically set into your Icelandic Knitter account under Downloads where it will be indefinitely accessible. a little something from Iceland… we love surprises! the price is paid in 5 installments: half of it at the sign up then one eight every month for 4 months. shipping cost worldwide is included in the price. However, if you are living in an area where the post is notoriously unreliable, please contact us so we can upgrade to a tracked shipping. in case of a change in address, please let us know as soon as possible and at least 2 weeks before scheduled shipment! this is a club; by signing up, you are committing yourself for the duration of the club. Refunds and cancellations are not possible, without prejudice of your statutory rights. Please see our full Terms and Conditions. So if you want to know more, read here and subscribe to the first Icelandic Yarn Club, SIGN UP NOW! This entry was posted in KAL, Yarn and tagged Icelandic yarn club.